I read a lot of nonfiction aloud to my class. I never get to as many titles as I intend to – the “must share” stack is always growing. It’s not necessarily due to lack of time. I make lots of time for nonfiction reading. 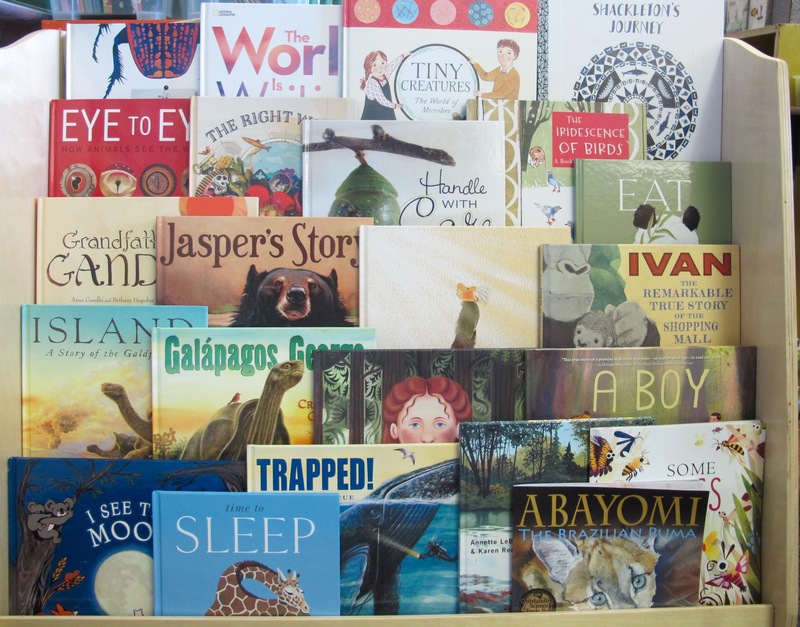 It’s that I believe nonfiction read alouds need to be rich reading experiences. And so, they require time. Time for questions. Time for discussion. Time to think and absorb and ponder. 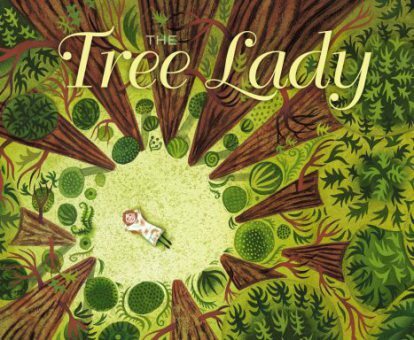 We “stretch out” our read alouds over days and days – reading, writing, talking, drawing. I celebrate the time we take with each book because I know the learning is rich. 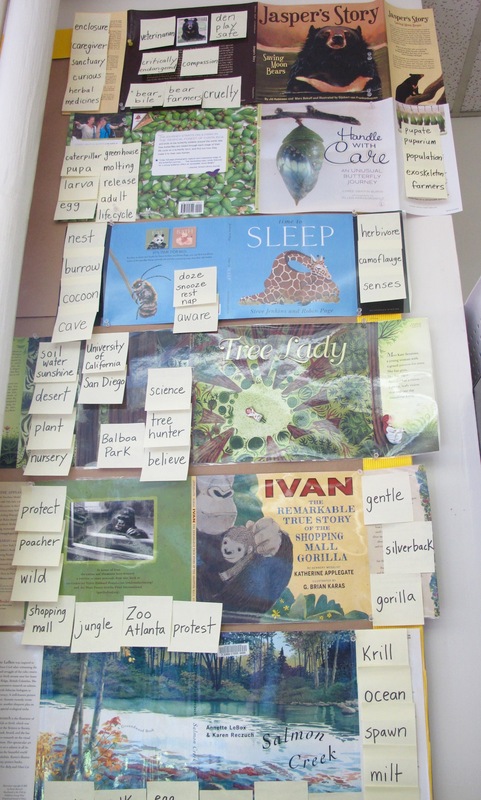 I thought I would make this post for Nonfiction Picture Book Wednesday be all about the celebration of and learning from our nonfiction reading this year. Here are (most of) the titles we read together in this “stretched out” style. 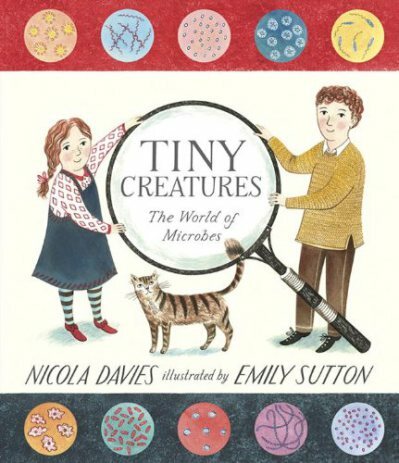 We also read many other nonfiction titles – some in their entirety, some just a few pages here or there. I chose some particularly important learning to highlight here. In this title we learned that a love for animals can be deep and a promise to protect them can be deeper. 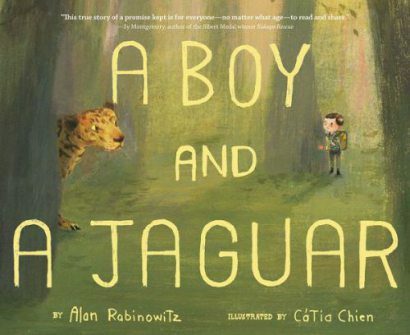 Alan Rabinowitz is a huge inspiration for my students. They felt his anxiety growing up stuttering and were inspired by his commitment to his work. Ivan’s story prompted discussions of animals in captivity, of human cruelty, of just “why?” Lots of conversations. 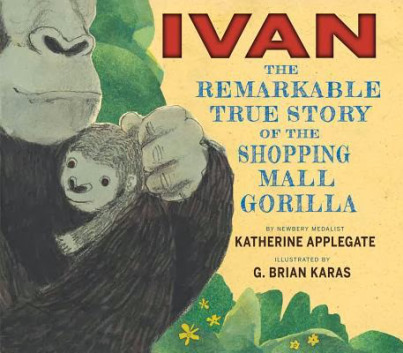 Thanks To Katherine Applegate and all of those who have loved Ivan, we love Ivan too. 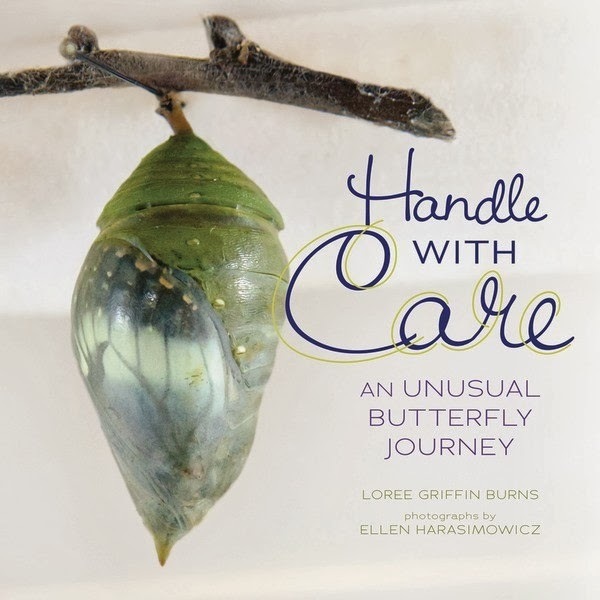 This title allowed students to explore a question they had never before considered – just how do butterflies get to museums and science centres all over the world? But it did more than that. It gave students a close up view at the miraculous life cycle of a butterfly and allowed them to see the beauty in every stage. This title let us talk about extinction. It allowed students to grasp the true vulnerability of so many species. We read this after reading various books about endangered animals. Reading about a special creature that actually became extinct prompted both outrage and sadness. “So many animals could disappear because of humans . . . ” one child observed solemnly. This title prompted a lot of “Wows” and a lot of hand washing! 🙂 It is so important for students to wonder about the world they can not easily see. The power of something very tiny is a very big idea. Our learning climbs up the walls, surrounding us all year. We learned. Some things. A lot of things, in fact. Not close to everything. It’s a huge amazing world out there. But wow, did we learn. We wondered. We pondered. We talked and listened. We developed our curiosity. We considered things from new perspectives. Most importantly, we considered our place in the world. What do we impact? What can we impact? What do we notice? What do we not yet understand? What do we plan to find out? 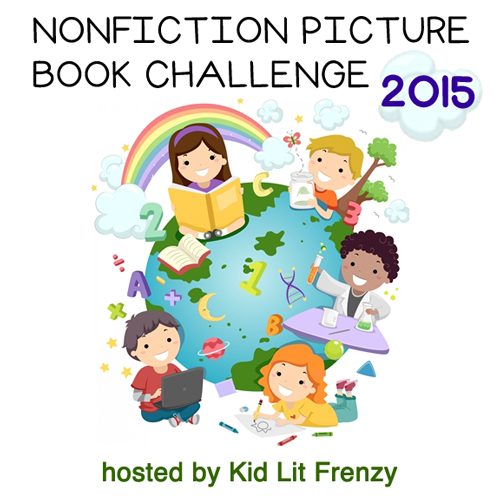 A year of reading nonfiction. 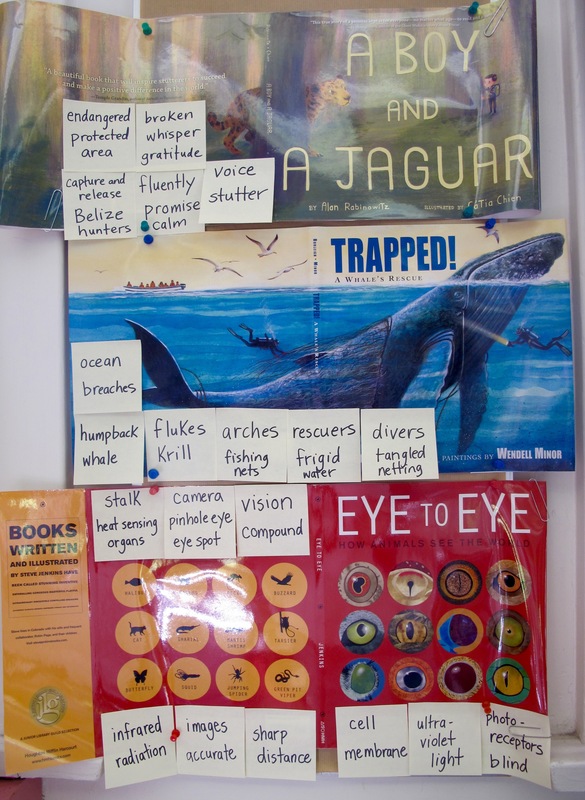 I have described reading nonfiction titles with a class as building shared knowledge, one learning layer at a time. How exciting it was to build this developing understanding of the world with this group of children this year. 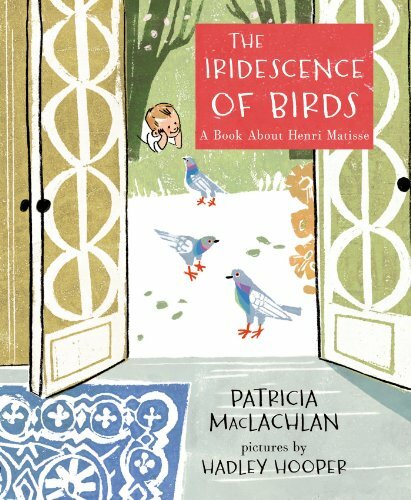 This entry was posted in Non-fiction, Nonfiction Picture Book Wednesday and tagged #NFPB2015, Alan Rabinowitz, Cátia Chien, Ellen Harasimowicz, Emily Sutton, G. Brian Karas, H. Joseph Hopkins, Hadley Hooper, Jean Craighead George, Jill McElmurry, Katherine Applegate, Loree Griffin Burns, Nicola Davies, nonfiction, Patricia MacLachlan, Wendell Minor by carriegelson. Bookmark the permalink. Glad you shared so much here, Carrie. 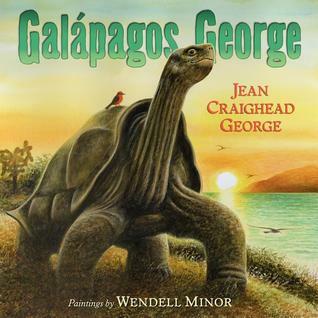 I’ve read most, but forgot about Galapagos George and Handle With Care. Will see if I can get them from the library! Thanks, I love hearing what your class is learning about all through the year! Thanks Linda! When I was organizing books at the end of the year, I snapped this photo and started thinking about a post . . .
“Our learning climbs up the walls, surrounding us all year.” Love this! I want to be your student. I also love the idea of a learning wall. What a great way to visually see what you have accomplished all year. Thanks Kellee. It’s a great way to keep our learning front and center. Thanks for this post. Great books. And for those I haven’t read, I definitely need to pick them up! That is a great roundup of books! Thanks! Wow, what a lovely comment! Much appreciated! I am so happy to hear that you have discovered titles on my blog that you have shared in your classroom! That’s always my hope – that my celebration of books transfers into additional read alouds in classrooms. Those are all great books! I love when you include photos. I’m such a visual person, I really learn best through pictures!